Question: We just replaced our old ceiling fan with a new ceiling fan with a remote control. There are 4 wires coming out of the ceiling(black, red, white and green). The old fan has also these 4 wires. The new fan has only black, white and green. There is only one wall switch being used. It has a black and red wire connected to it. We connected the new ceiling fan black to black, white to white and green to green and we put a cap on the red wire on the ceiling. Both the lights and fan are working. I'm just not sure if we actualy did it right and it would not cause wire later for something we did or didn't do. Do we disconnect the red wire on the wall switch or do we just leave it as is? We haven't tried using the remote control yet as we still need to buy a 9-volt battery. Thank you in advance for your expert advice. Have a nice day! It sounds like you did everything right. 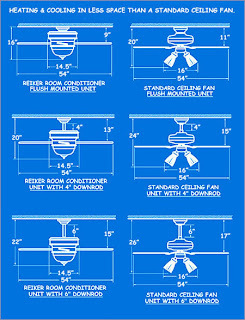 The remote controlled ceiling fan doesn't need to us as many physical control wire as a ceiling fan with no remote. The old fan had a hot(black) Neutral(White) Switched hot (red) and a Ground(green). You new fan doesn't need the switched hot (red or black). It just needs power and the remote acts as the switch.